Owned by: Darell, Danni & Jack Ford. 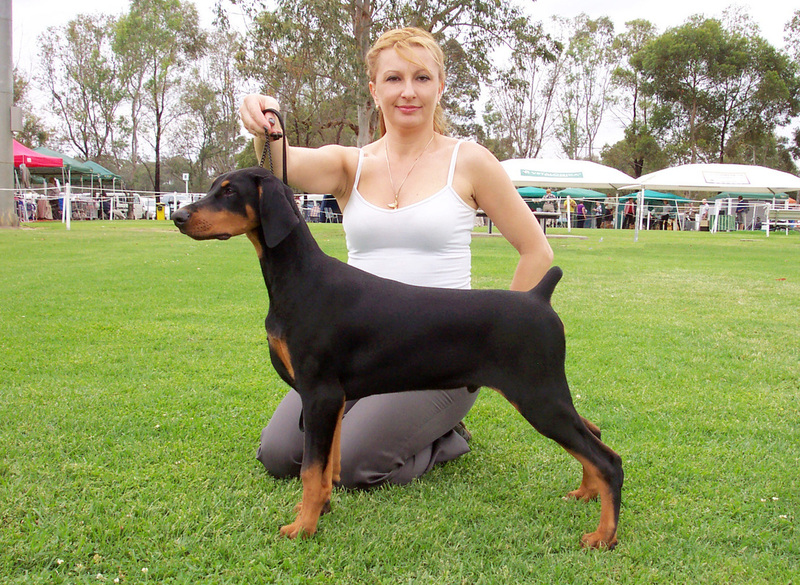 Legend was attained by his family as a companion it soon became apparent he has lots to offer to this breed. 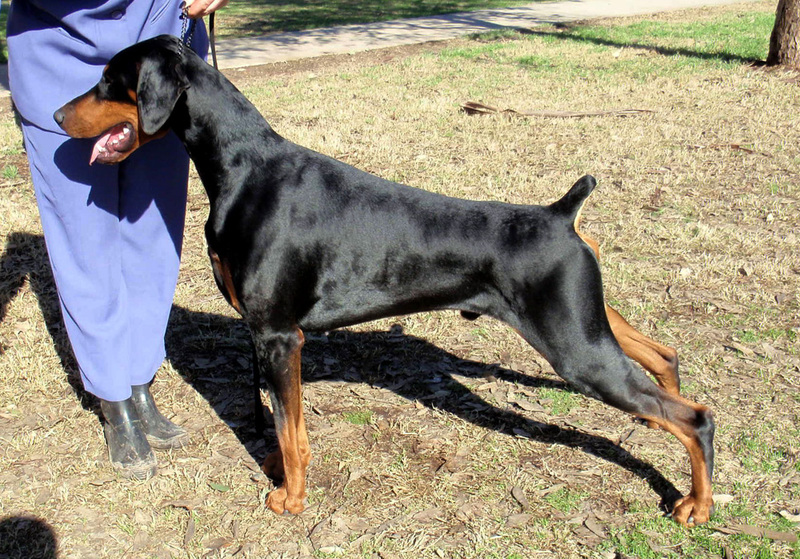 He has so much substance and due to his fantastic structure he is one very strong boy! 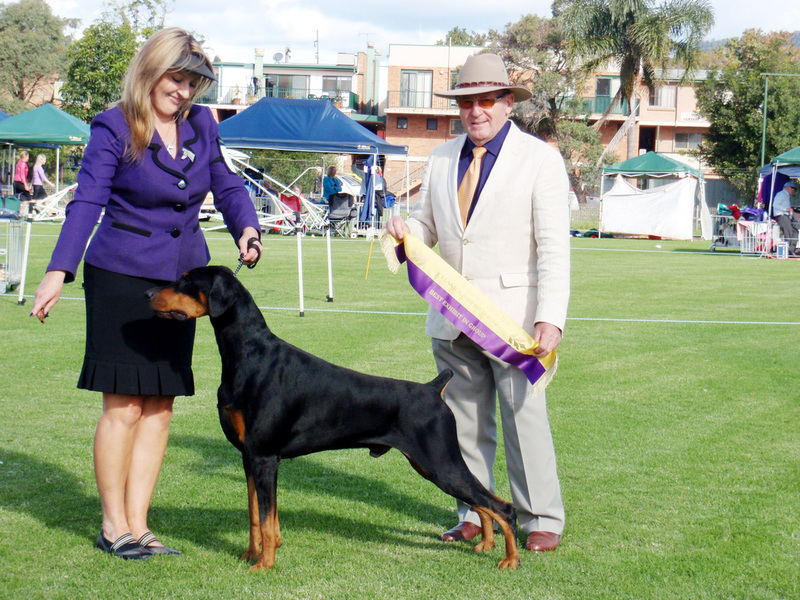 His owners though strapped for time and started a young family of their own have had little time for shows still we get together several times a year and give it a go! 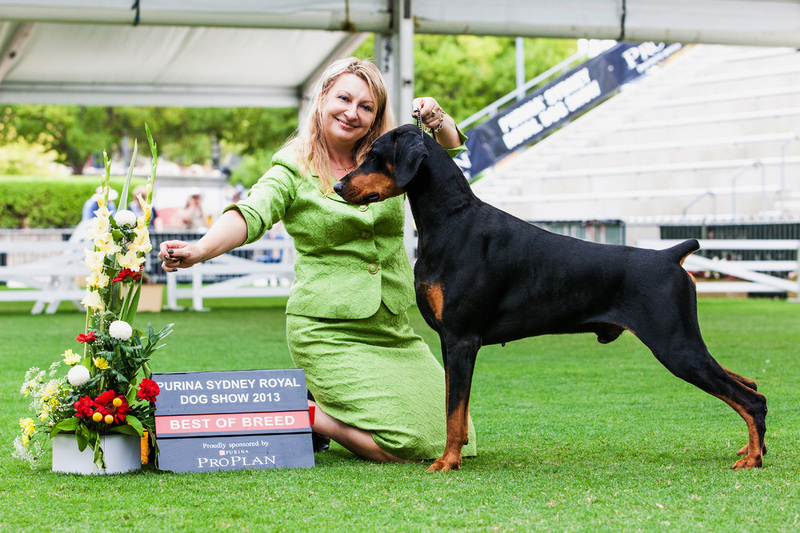 So far this boy has amassed so many wins in so few shows even this year out of 4 shows he won the Canberra and Sydney Royal best of breed and a couple in group awards! 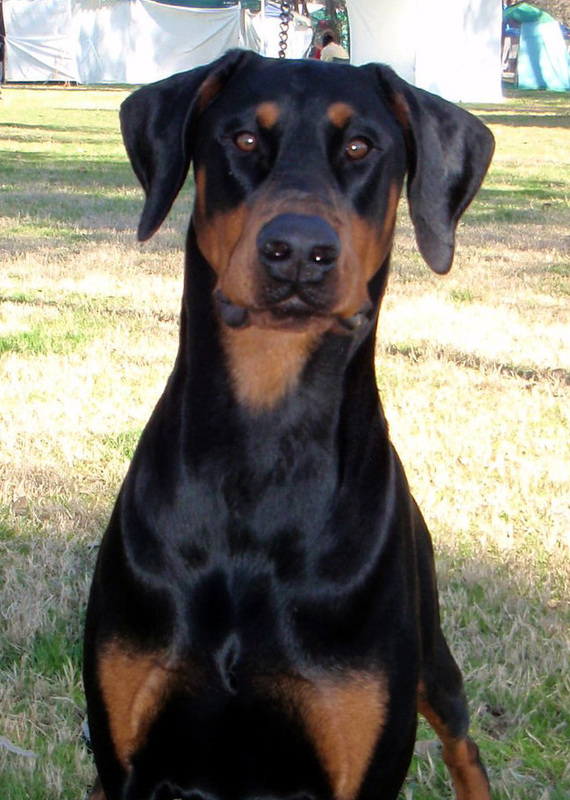 He is a very powerful dog with a lot of attitude and not for the fait hearted. 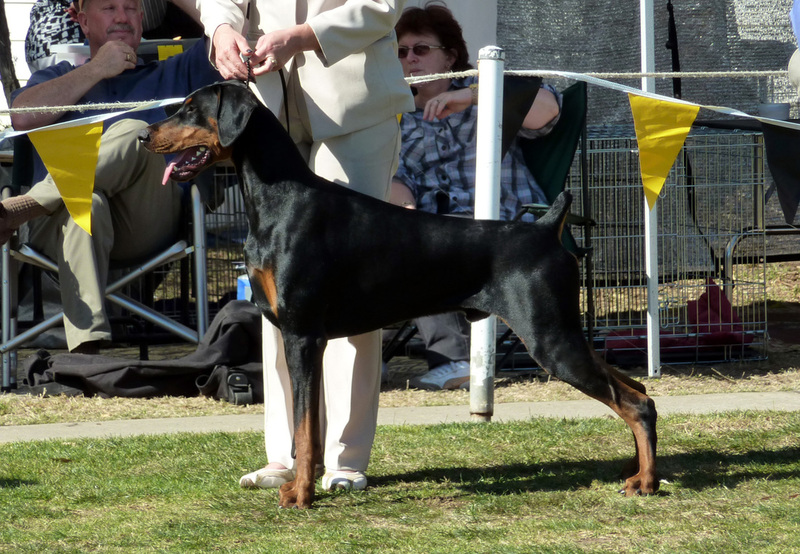 I have his 2 full sisters and my co breeder Julie has the third all champions in very limited showing. I am now campaigning a couple of his daughters simply stunning! If I had the room I would love to keep one of his sons! Legend is vWD carrier and DCM gene negative! 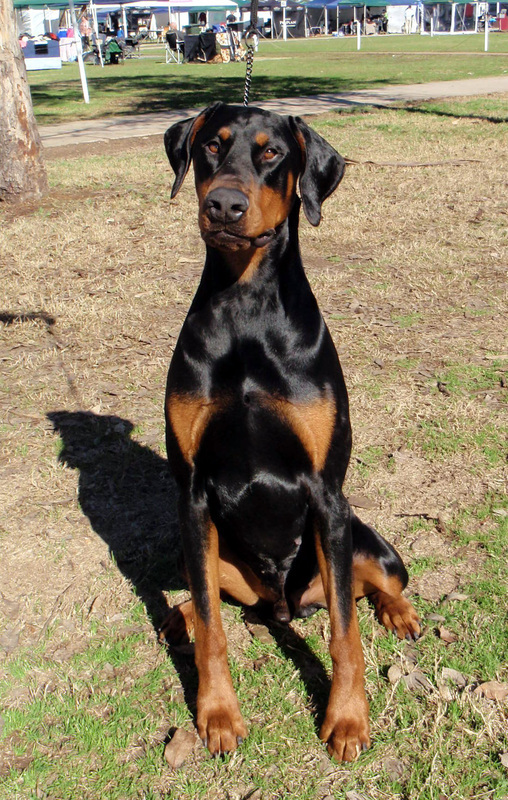 His family have amazed me they have had another dog before Legend and then they got a companion for him Vision, then came their human baby boy who is allergic to dogs. 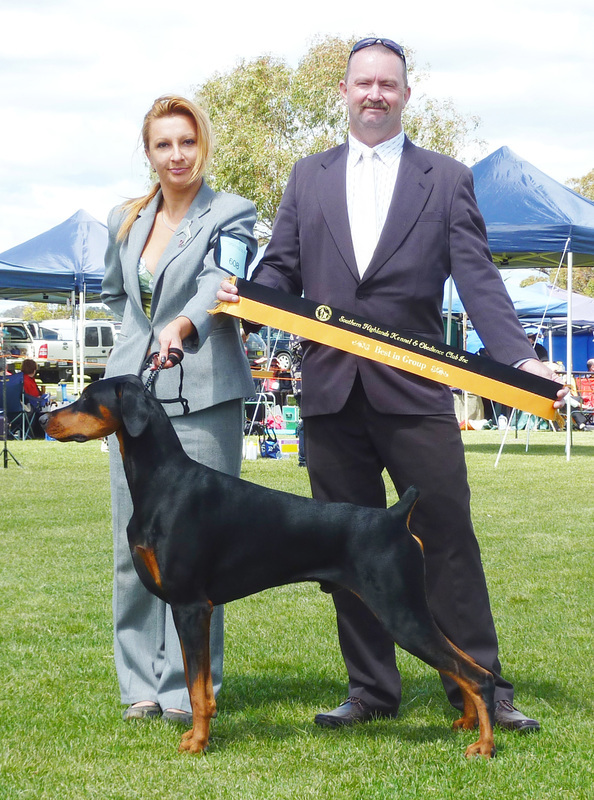 Best In Group at the Liverpool Charity Show 2013 under Mr. K. Lovell from Victoria. 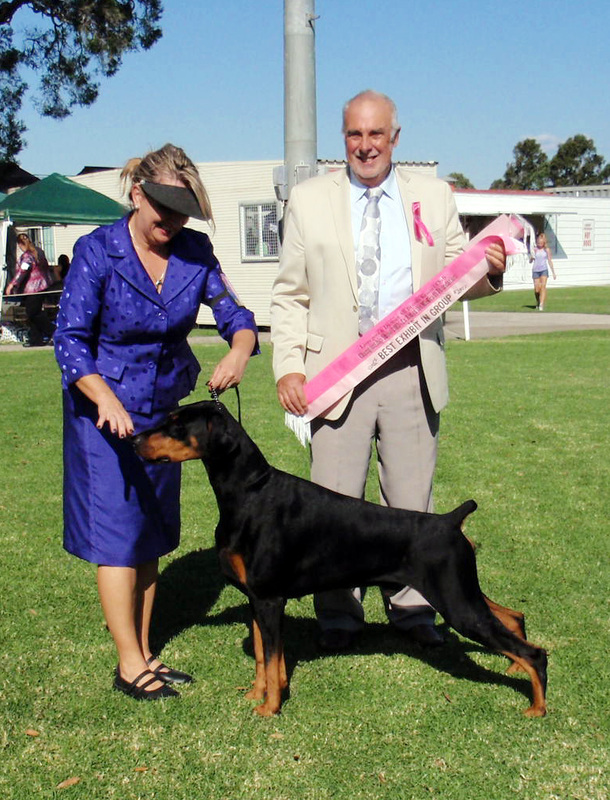 Legend Winning Best In Show ACT Dobermann Specialty. 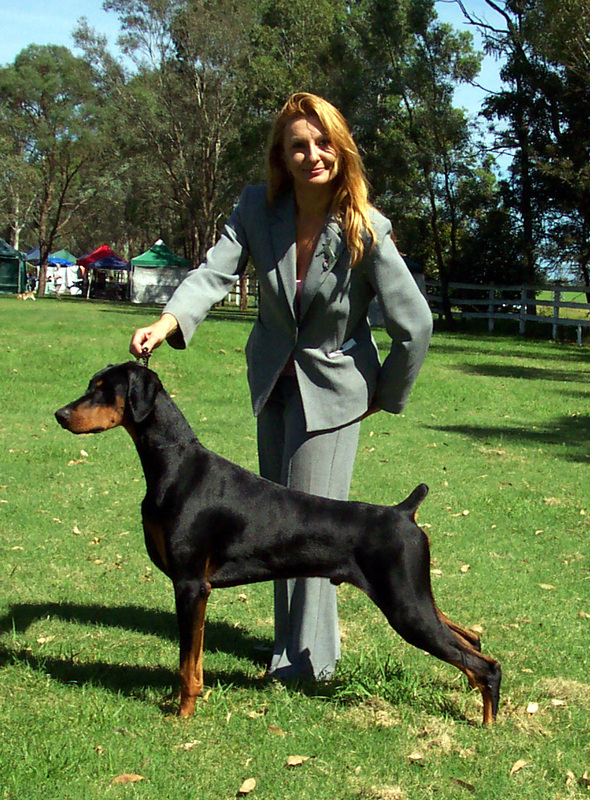 Legend Winning Best In Group. 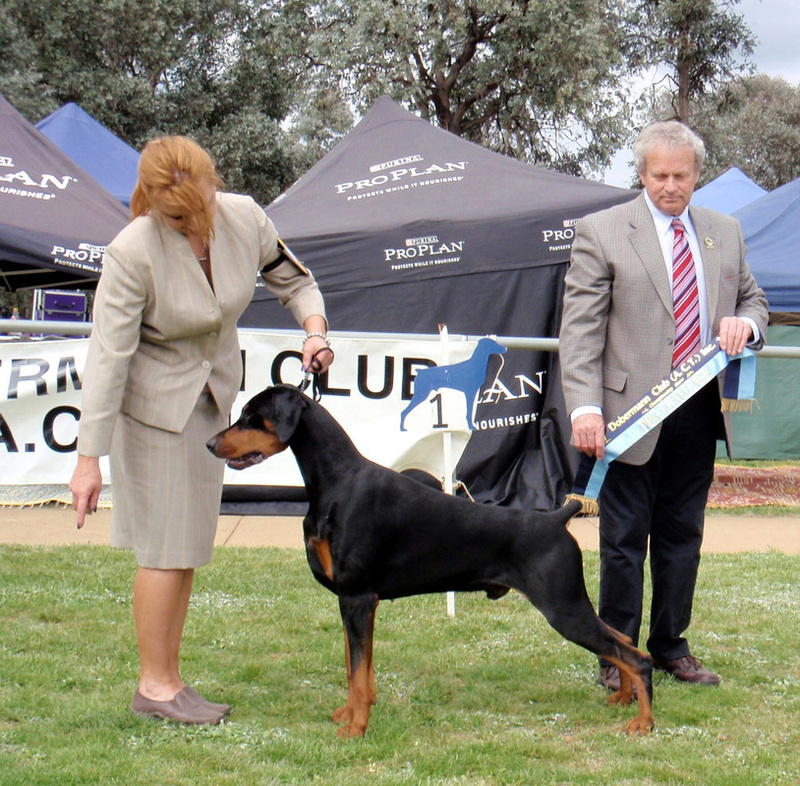 Legend winning Best In Group from Puppy Class.